In this Issue: | WET Member Highlight | In the News | Staff Highlight: Kaomine Vang| Events & Webinars | Grants & Opportunities | Did you know? Come join us and become a venture capitalist for the day! This annual event has something for companies and organizations of all sizes: a “Shark Tank” style competition, a stock exchange, and panel discussions for investors and startups. Come be a savvy millionaire business leader looking to generate personal wealth and economic health with a few wise investments...at no risk and with a lot of fun!! 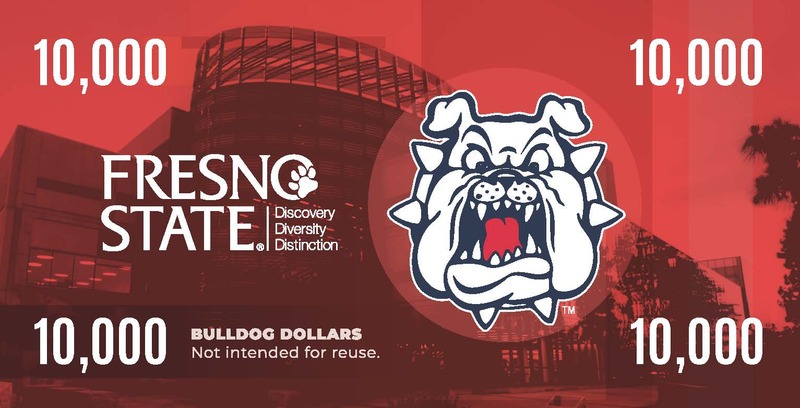 Promising local entrepreneurs and startup ventures will vie for the “investors” Bulldog Dollars to be recognized as the Audience Choice during the awards ceremony. Join us and see leading innovators, investment-ready entrepreneurs, or a technology in need of a problem to solve. The event will also have multiple panels throughout the day that will provide tips for entrepreneurs looking to raise capital and offer advice to startup ventures to scale from an emerging growth company to a middle-market company and beyond. In addition, promising ventures will also present to a panel of judges and investors to be recognized as the Judges Choice or the Investors Choice. Ag H20 was founded in 2012 by agricultural engineer Jim Anshutz. Ag H20 conducts quantitative and qualitative assessments that drive the agriculture irrigation marketplace. The Ag H20 team – Anshutz along with Kurt Maloney and Tim Young – place a high value on the “voice of the customer.” Supported by research and reason, their mission is to help people think through and achieve their goals. With years of experience in the irrigation space the team is well qualified to help others prosper and grow their businesses. "We have used the WET Center's facilities and onsite services to help associated manufacturers analyze new products, develop their positioning and then train distribution staff and growers about those features and benefits," says Maloney of Ag H20. Maloney says, they have studied and reported on the dynamics of various segments of the agricultural irrigation industry. Ag H20's team believes developing products and services that are distinctly different and can demonstrate real value to a customer will set a company apart. California Clean Energy Fund Awards Another $2.7 Million to 2018 CalSEED Concept Winner Here's What Agriculture of the Future Looks Like: The Multiple Benefits of Regenerative Agriculture Quantified WISRAN, a BlueTechValley and Valley Venture Spotlighted on new VINE website! BlueTechValley’s venture, Pergio Welding Works, is a grant recipient of the CalSEED Concept Award! Using regenerative farming practices is the new future for agriculture. Ag Tech can help a movement like this grow full force! University of California Agriculture and Natural Resources and The VINE have launched a new website and they have spotlighted WISRAN, a BlueTechValley and a Valley Ventures venture. Kaomine Vang, Hydraulics Laboratory Manager for BlueTechValley at Fresno State. Vang is a bulldog through and through, graduating with 3 degrees from Fresno State, a Bachelors of Science in Industrial Technology and a Doctorate in Educational Leadership. He has been working with the Fresno State water programs since 2011 and works with the technology, testing research and development as well as quality assurance. Vang was born in Denver, Colorado, but raised in Fresno. He enjoys comedy shows and loves to have a great laugh, which is great because he often works with student assistants. Vang says, the thing he enjoys most about his job is mentoring and assisting young people, especially the students, he says, it is especially rewarding to see them succeed at life, have families and grow into successful productive people. On October 3, 2018 the third edition of the technology event will take place. The event is focused on specialty crops and data. The day will start with hands-on demonstrations, peer-reviewed presentations, and an industry panel led by growers during lunch. The keynote will be made by Glenda Humiston on the importance of broadband infrastructure and cultivating innovation across the agriculture and food sectors. To view the agenda click here! The event will be hosted by UC Kearney in Parlier, in collaboration with BlueTechValley, Bowles Farming, California Energy Commission, Fresno State, PowWow, The Vine, and West Hills College. To register or for more information on the event, click here! The academy is open to community members and aspiring entrepreneurs, as well as upper-division undergrads, graduate students (master’s and doctoral), postdocs, and faculty from all academic fields. The academy is taught by investors, entrepreneurs, university faculty, and industry experts who serve as mentors and guest speakers. You will gain the knowledge and networks needed to explore and develop the commercial potential of your research or venture. Greater Vision is an annual event addressing contemporary issues in agriculture and society, focusing on agricultural careers in energy, sustainability and technology. The program is designed for students, professionals, and community members. Visit the event site to register for Greater Vision 2018 - Agricultural Careers in Energy, Sustainability, and Technology by clicking here! Each fall, industry leaders gather in Bakersfield to exchange information on the latest advances and innovations in the energy industry, specifically as it affects Kern County’s position as a U.S. energy leader. The Kern Economic Development Corporation partners with other industry supporters every November to explore current challenges and opportunities facing the petroleum, utility, and renewable energy industries. By attending this annual forum, you too will have a chance to network with top industry experts and suppliers to learn about local innovations and technologies that are shaping the energy future of the state and nation. This joint NSF/NIFA program supports projects focused on current and emerging model and non-model systems, and agriculturally-relevant plants. Did you know September 28 is national "energy day?" Use the hashtag #NationalEnergyDay and tag @BTVcluster on Twitter to show us how you are celebrating!